(P1) Oculus Rift creator Palmer Luckey doesn’t think the just-announced Gear VR mobile virtual reality headset he’s building for Samsung is going to compete with his Oculus Rift headset, which is still not available to the public. In fact, he predicts customers will want to buy both — though no price or release date has been set for either. (P3) Luckey and Oculus VR Chief Executive Brendan Iribe spoke to Mashable Thursday morning, a day after the company announced a partnership with Samsung to create the Gear VR, a mobile headset powered by the Galaxy Note 4 phablet due out later this fall. The Gear VR is a more portable and affordable virtual reality option than the regular Oculus Rift headset. (P6) Creating a mobile experience was something Oculus had been working on for a year, even before it was snapped up by Facebook. The effort was spearheaded by Chief Technology Officer John Carmack. (Carmack and Oculus VR are currently named in a lawsuit from his former employer, ZeniMax Software, which claims Carmack brought ideas from id Software to Oculus when he left last August.) Iribe says Carmack has been instrumental in “getting under the hood” of the mobile virtual reality software and hardware. (P7) Also instrumental was Oculus VR’s partnership with Samsung. The AMOLED screen found on many of the Samsung phones and phablets is critical to getting low-latency images with virtual reality, Iribe explained. That isn’t achievable on a LCD screen. (P8) Too much latency, and you’ll see a motion blur when you move your head inside virtual reality, which can induce motion sickness in some users. It’s the reason the second-generation Oculus Rift development kit contained a Samsung Galaxy Note screen. (P9) Samsung and Qualcomm made a large number of modifications to the Note 4 to make it virtual reality compatible, including tweaks to the phone’s graphical processing unit, sensors and operating system. There are also sensors in the Gear VR headset, to which the Note 4 connects. “The built-in phone sensors don’t work as well for VR,” Luckey said. “That’s why you can’t just put any phone in a 3D-printed thing or a piece of cardboard [like Google did] and expect the same experience. “Most of those are pretty terrible experiences just riding the VR hype wave,” he said. (P10) Giving people a virtual reality experience that keeps them coming back — captivating from the first experience — is a must for Oculus VR, the pair said. Iribe believes it’s especially important to manage expectations about what kind of experience you’re going to have. That’s why the Gear VR is being branded as the Innovator Edition and is being targeted more toward enthusiasts and developers than regular users. (P14) “And if we didn’t start this now, there wouldn’t be a market for it later,” Luckey added. 얼마 전 개발자들 모임에 참석했는데 삼성 핸드폰을 장착한 VR 장치를 데모해주더군요. 7년 전 아이폰이 나왔을 때 단순히 아이팟터치에 전화기능을 더한 것이 아니냐하는 생각을 돌이켜본다면 그 당시 무한한 가능성을 예상하지 못 했다 하겠죠? Virtual reality와 mobile이 만난 일이 테크산업에 얼마나 큰 영향력을 발휘할지는 또 7년 후쯤 돌이켜보면 알 수 있지 않을까요? If you found the passage difficult to read or had problems understanding specific words or idiomatic expressions, please discuss them with your tutor. The following discussion questions should be answered in your own words and with your own arguments. 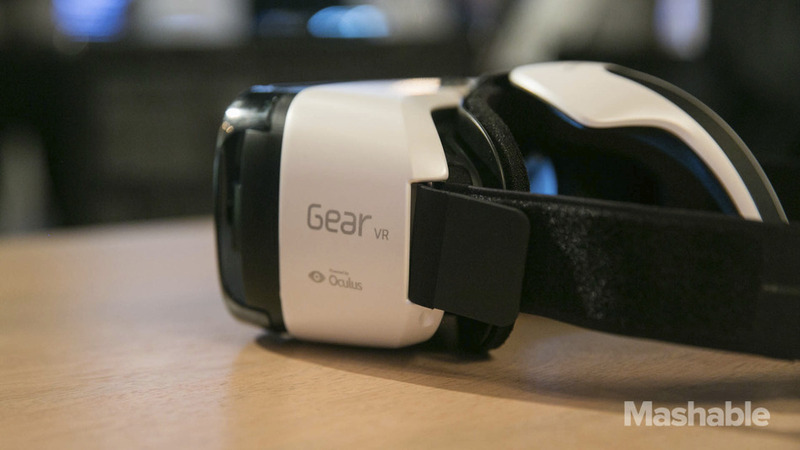 What concerns do some fans of Oculus Rift voice about Gear VR? (P5) Do you agree with Luckey’s answer? Why or why not? What are the possible applications of Gear VR that you can think of? Why do you think Facebook bought Oculus in March, and what do you think is the implication of collaboration between Oculus (virtual reality), Samsung (hardware), and Facebook (software)?